I have a special post for you today because it's Memorial Day Weekend and there are soo many good sales to be had. I was going to wait until Monday but things are going fast and you might as well shop while you relax with family & friends. I've picked out several of my favorite items above, especially the blush bag...such a steal! Funny story, I was linking the leopard pillow (we have two in our bedroom) and realized one of the photos that go along with it online is actually our bedroom haha! I was like...wait...that's my bed! 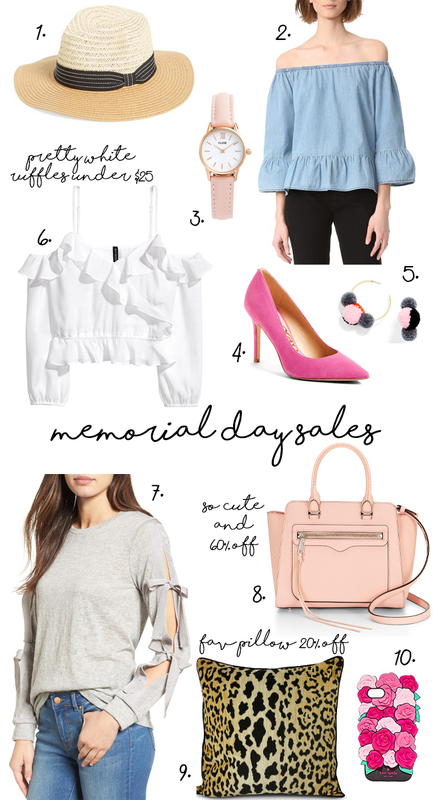 I've also linked some of my Nordstrom Half Yearly Sale favs below, along with a long list of sales happening right now!